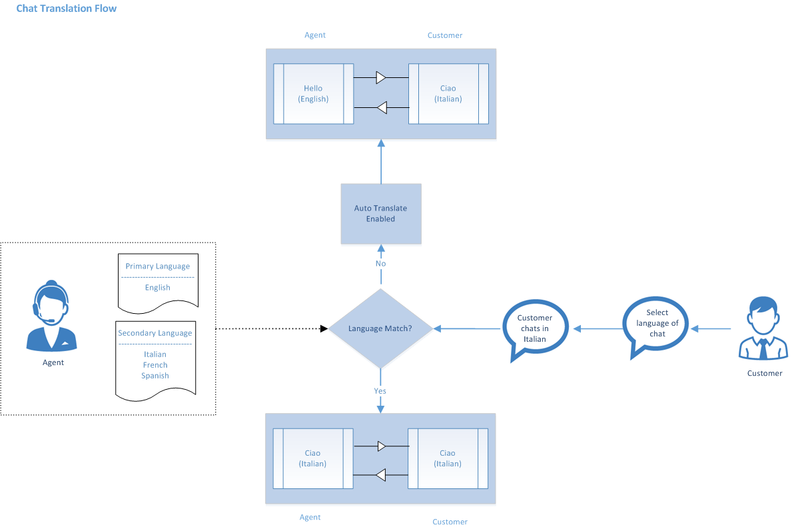 In the Agent Console, chat interactions provide a means of responding in real-time to customer inquiries. Depending on the configuration of your contact center, the contact center's chat access page can be configured to either allow or require a customer to supply an account number or other information to identify them before beginning the chat interaction. Virtual Contact Center uses this information to look up our Local CRM for a matching customer record. When you accept the new chat session, the Agent Console opens the matching customer details record. If the customer has not supplied any identifying information before beginning the chat, you can use the chat window to ask the customer for the information you need to create a new customer or case record. C – Host your contact center’s chat channel on your webpage independent of Support Center. You can design a proactive web chat interface according to your company’s requirements, build a chat script to define a logical workflow for your chat channel, and finally generate a code snippet to be placed in your website. For detailed information regarding Support Center and Single Chat, refer to Virtual Contact Center 8.0 documentation guide. 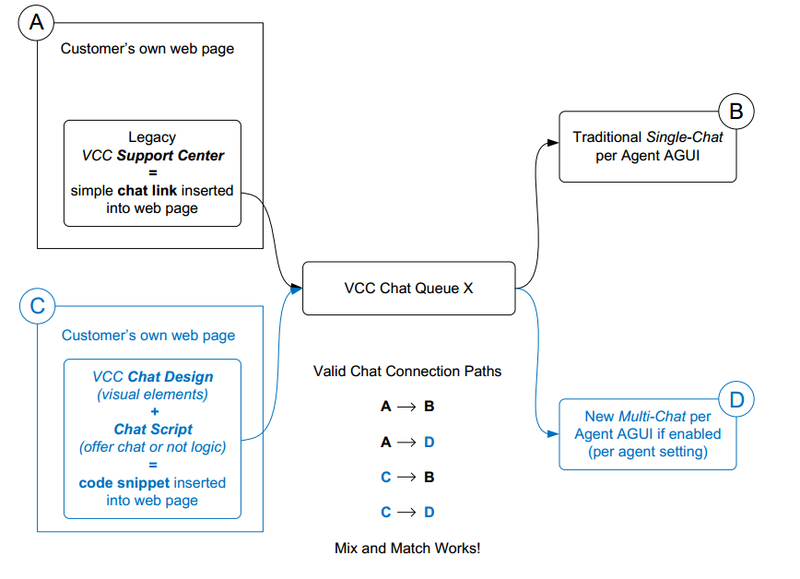 Multi Chat is a new feature that allows customer-to-agent or agent-to-agent chat.